Edward Bailey grew up 90 minutes south of the Triangle in Fayetteville, NC. He graduated from North Carolina State University (NCSU) with a degree in chemical engineering in 1994. While working as an engineer full-time, he completed a master’s degree in business management at night, also at NCSU. He then returned to dental school at the University of North Carolina at Chapel Hill (UNC). Upon graduating, he worked at a children’s public health clinic in Sanford while his practice was being built in Morrisville. Bailey Dentistry formally opening in March of 2002. He continually takes continuing education classes to provide the best dental care possible for his patients. Dr. Bailey is married with two children. When not practicing dentistry, he spends his free time watching his kids play numerous sports (soccer, golf, basketball), and enjoys playing golf himself. 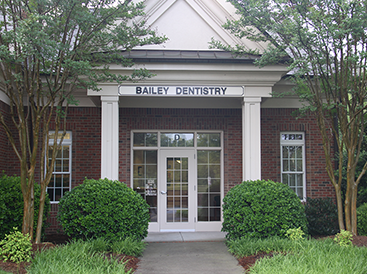 Bailey Dentistry has 15 years of experience providing our patients with the absolute best dentistry available. 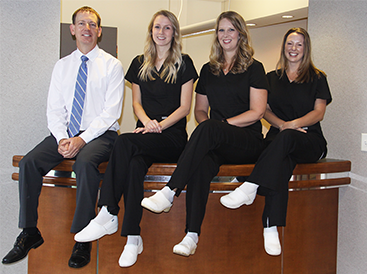 We have a committed team of professionals to improve and maintain your oral health. We take all the time necessary to make sure your treatment is done properly for long-lasting, beautiful results. 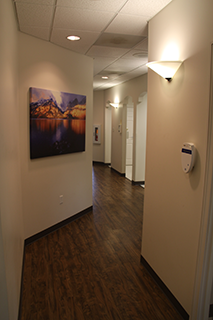 High tech equipment such as optical magnification, digital radiography, digital intraoral photography, modern composite resin fillings, and zirconia porcelain crowns are utilized for the best possible results. We know that you have many options available. We appreciate all our patients and their trust in us. Some of the best reasons to choose Bailey Dentistry is due to what we are not. We are not corporate dentistry. You will only see one dentist at your appointments: Dr. Bailey. He is the only dentist and owner of the practice. There is not a revolving door of contract dentists and hygienists. There is no corporate hierarchy between you and your treatment. Two of our four staff members have been here ten years. We want you to have consistency and continuity during your visits. 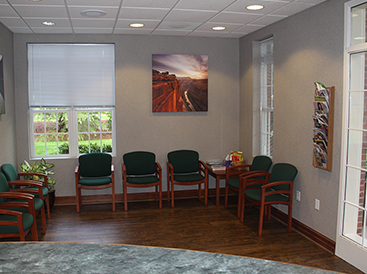 We strive to know you personally in order to meet your needs and expectations. We are not associated with any dental insurance network. As a service to our patients, we can file your insurance with almost all carriers and we accept assignment of benefits from them. Many think that not being “in-network” is a disadvantage because patients are not coerced to us by their employer or insurance carrier. In fact, we want patients to select us because we can treat them better than other practices. The philosophy of our practice maintains that you should select your dentist based on merit, not based on an agreement between the dentist and an insurance carrier. Your health is one of the most important aspects of your life. Therefore, we believe that you should select your dentist based on their ability to meet your dental needs. Often times “in-network” dentists are overly aggressive with their treatment in order to maximize their production since they are discounting their regular services with an agreement with an insurance carrier. By contracting with insurance networks, dentists perform their treatment at significantly reduced rates. They frequently rush through procedures in order to fit more patients into their schedule, again to make up for discounted fees. We desire to provide you with the best care possible: taking all the time required to complete treatment correctly for long-lasting results. We allow plenty of time for each patient so that we can run on time as much as possible. We understand that your time is just as valuable as ours. In-network dentists tend to use less experienced and less compensated staff, in order to make up for discounted rates as well. Many patients mistakenly believe that by going in-network that they are saving money. Actually, most out-of-pocket expenses are covered nearly identical no matter what dentist you go to. Unfortunately, the vast majority of savings by going in-network goes to the insurance carrier, not the patient.